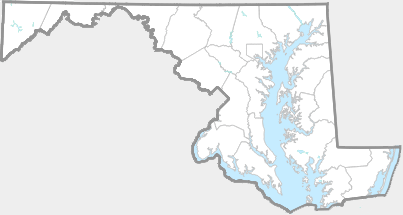 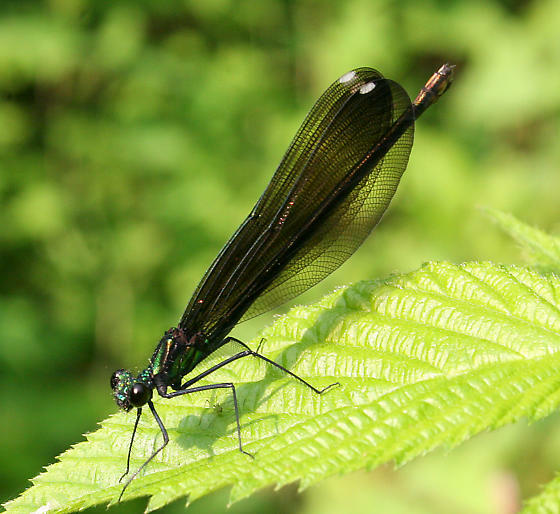 This species is one of the most common and familiar odonates, and occurs in every county in Maryland. 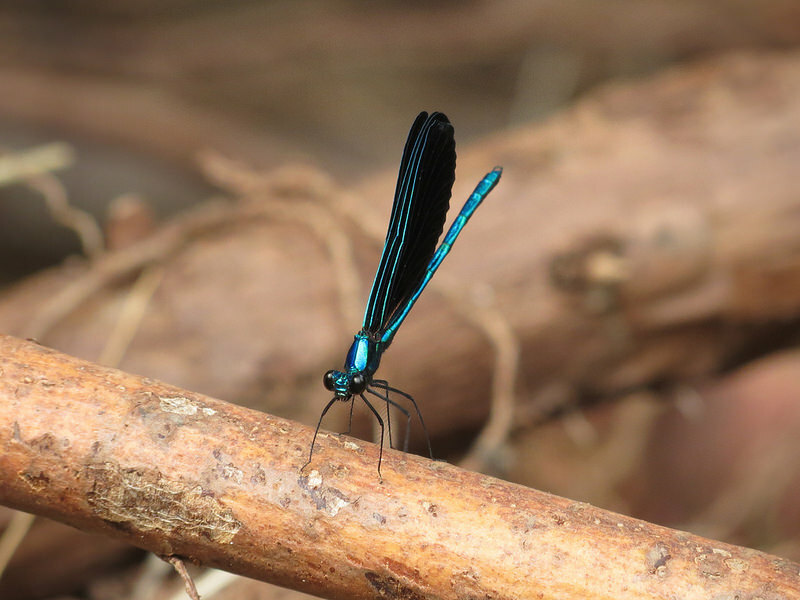 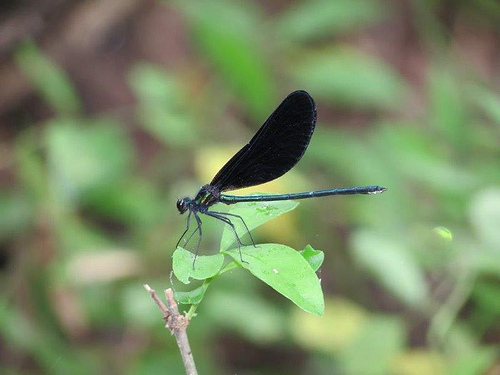 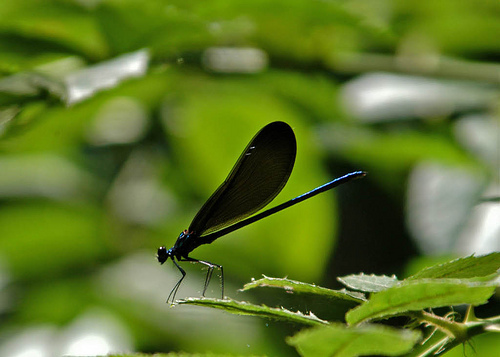 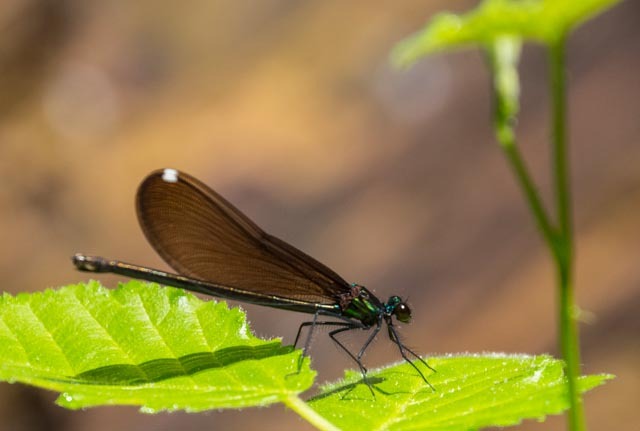 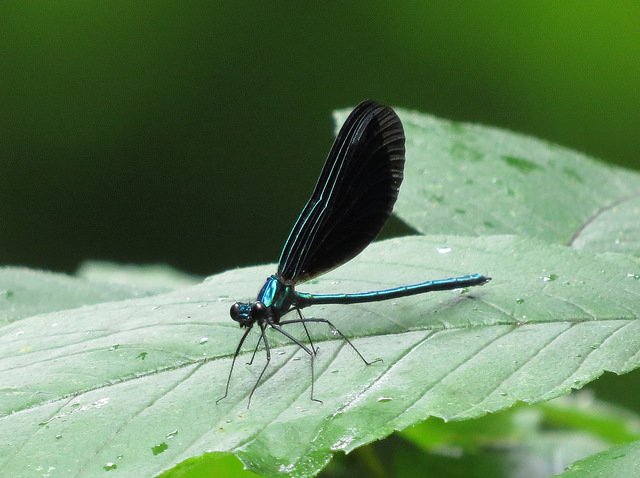 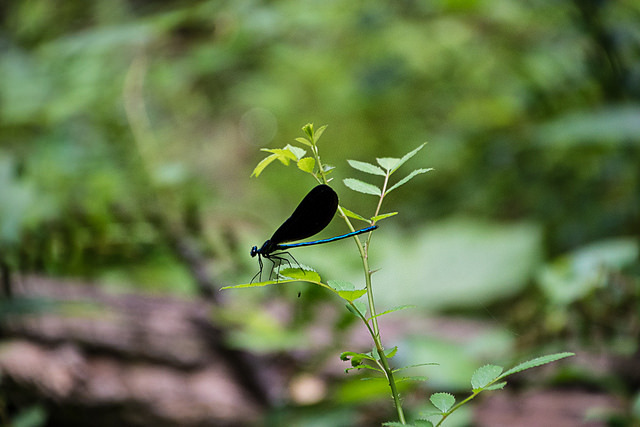 They are common to abundant on many stream habitats, from small seeps to creeks to small rivers. 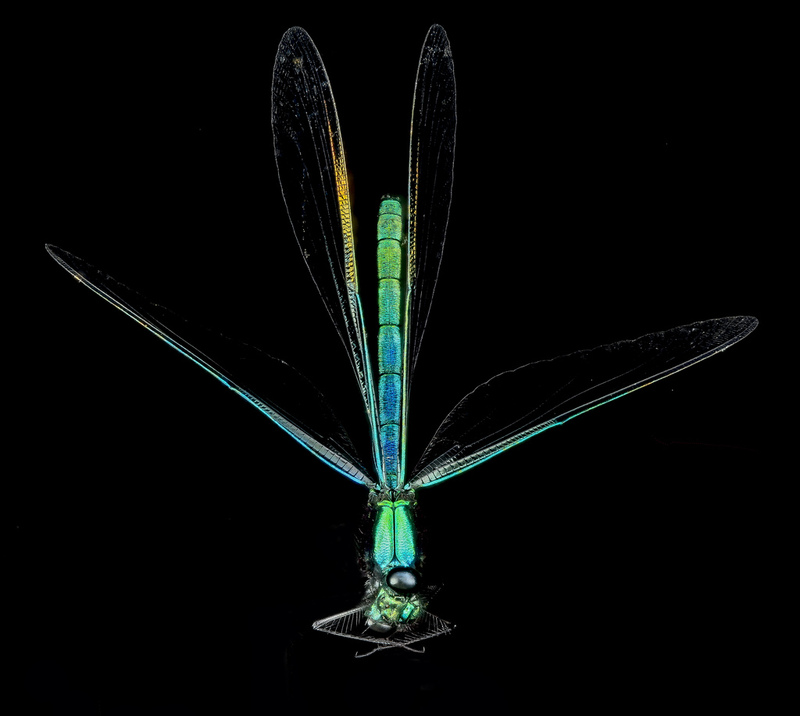 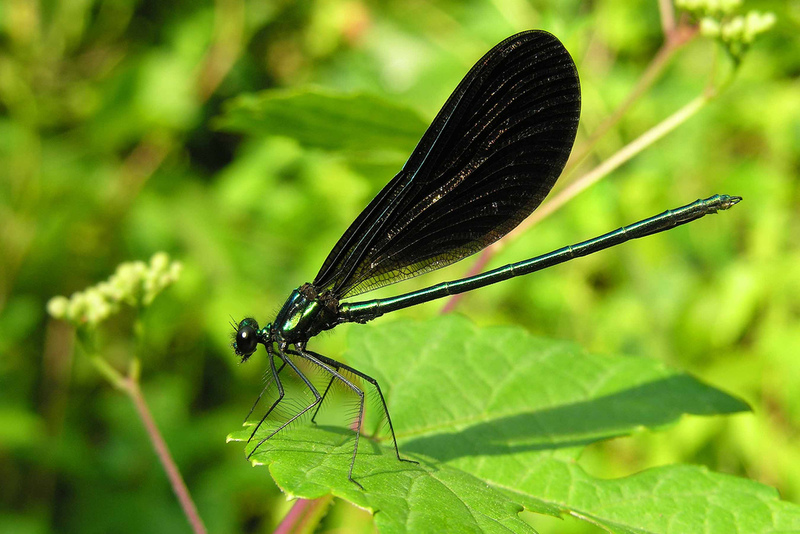 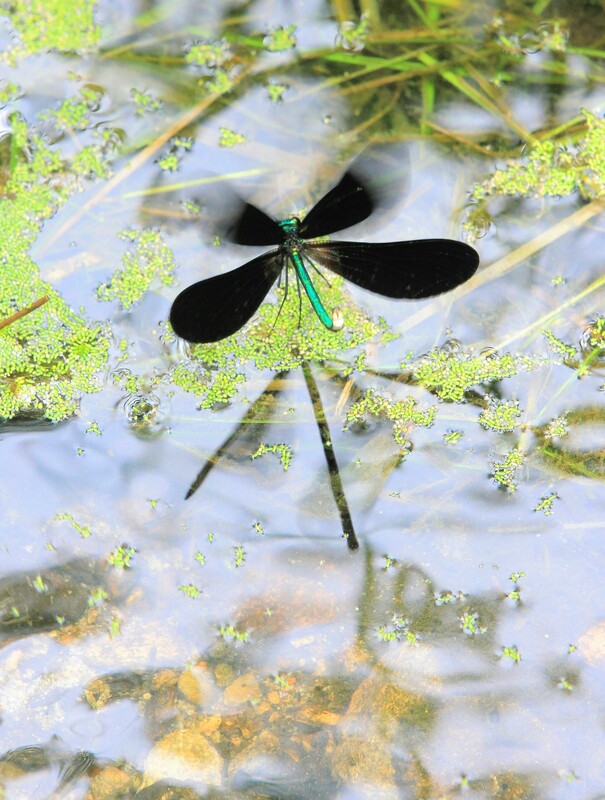 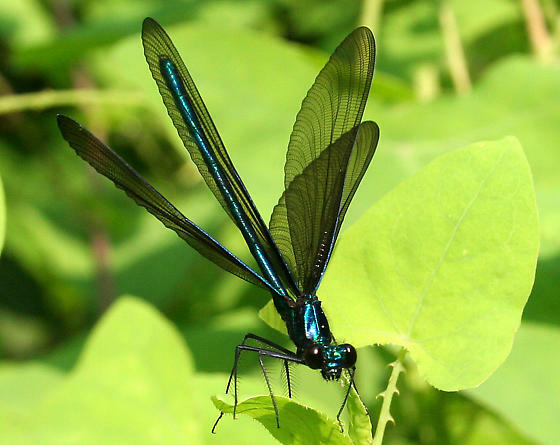 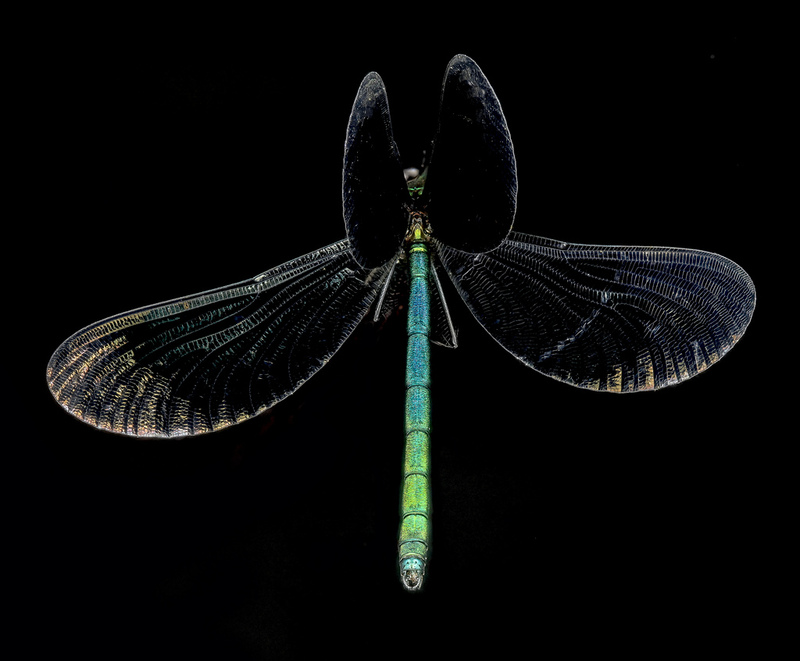 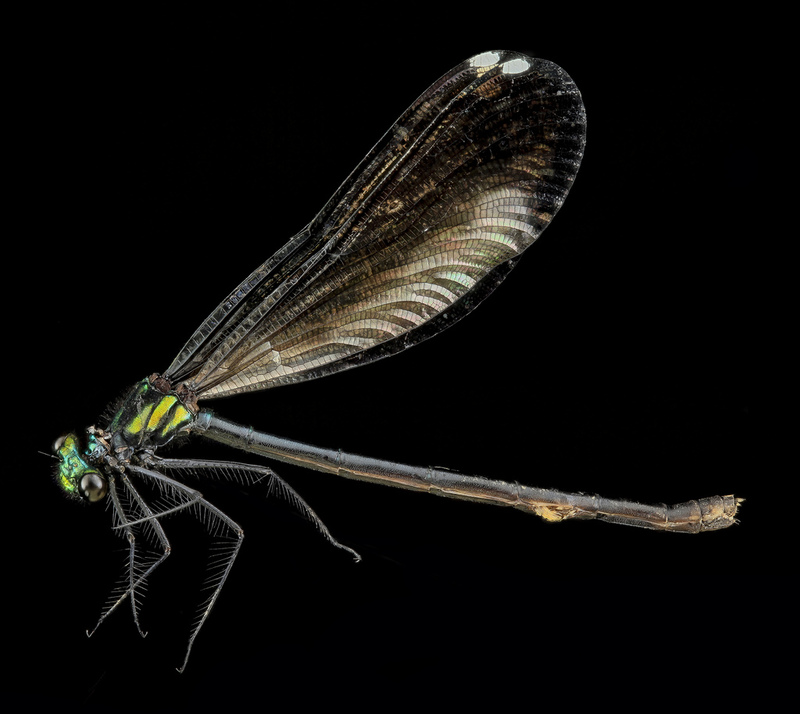 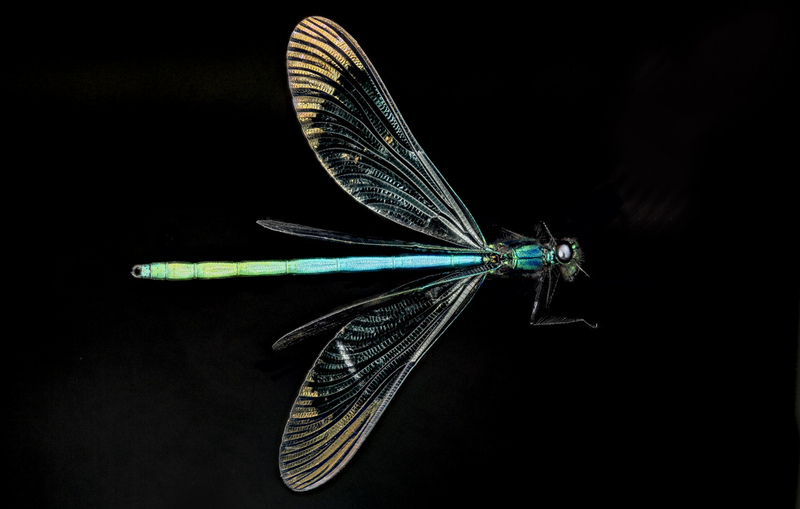 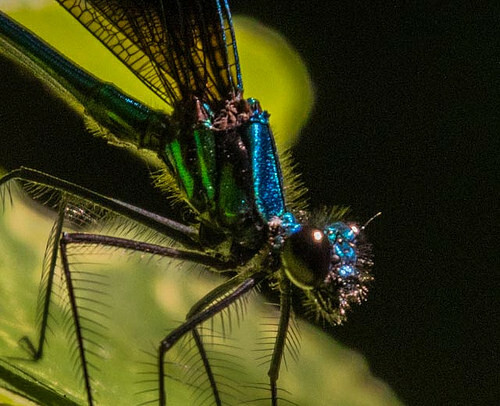 The brilliant metallic green body, and broad, black wings of the male, present a striking visage. 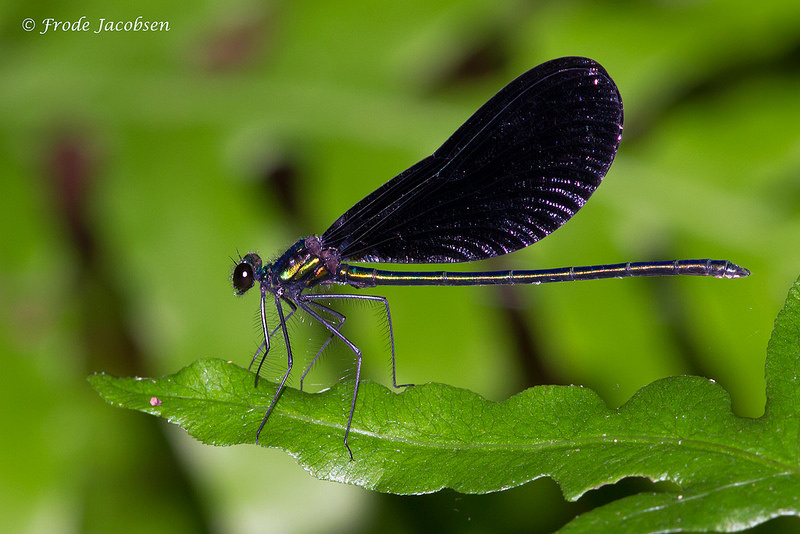 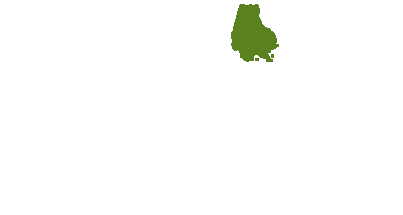 This distinctive species is easily recognized even by casual observers. 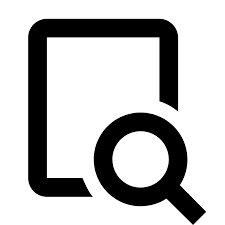 There are 1,133 records in the project database.